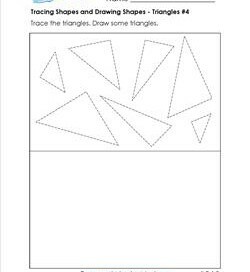 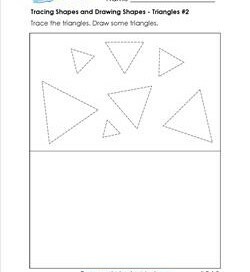 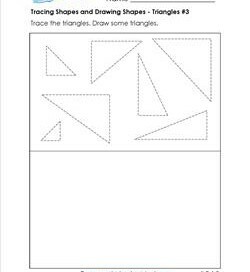 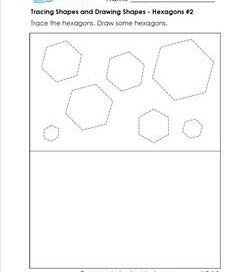 Practice circle tracing and drawing skills in this circle shape worksheet. 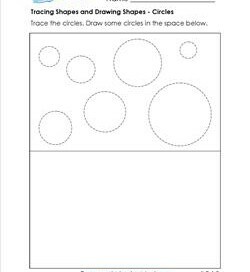 Circles can’t be turned on their sides so only one worksheet for circles. 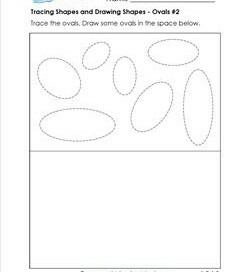 Who shook up all the ovals? 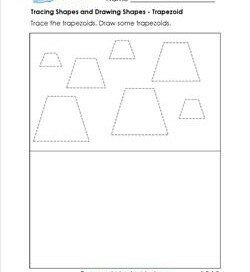 They look like they’re bouncing on the page! 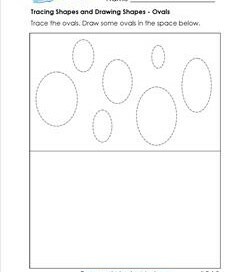 Trace the seven ovals nicely and smoothly and then draw some of your own. 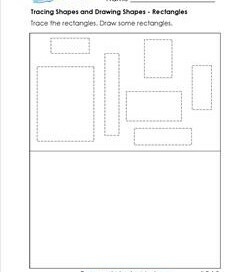 Who came along and messed these rectangles all up? 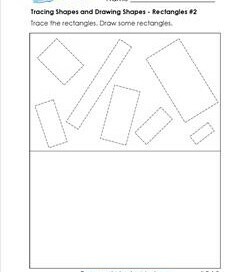 It’s a greater challenge to trace them and draw some rectangles like these. 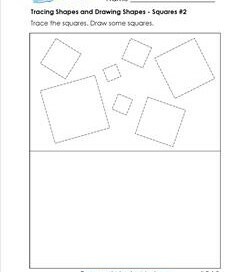 All juxtaposed, these squares can’t wait for the kids in your classroom to sit down and trace them! 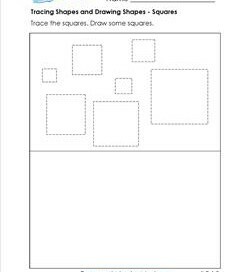 Grab a pencil and let’s go! 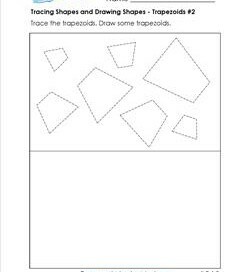 “Trapezoid” is a tough word for little ones to remember, but hey can practice tracing and drawing them just the same. 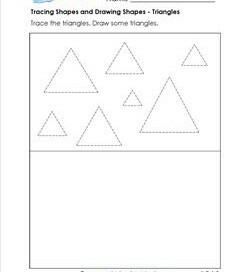 These triangles are not the basic triangle that kids first learn, but they’re triangles just he same. 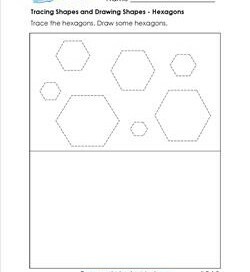 Trace ’em, then draw ’em.